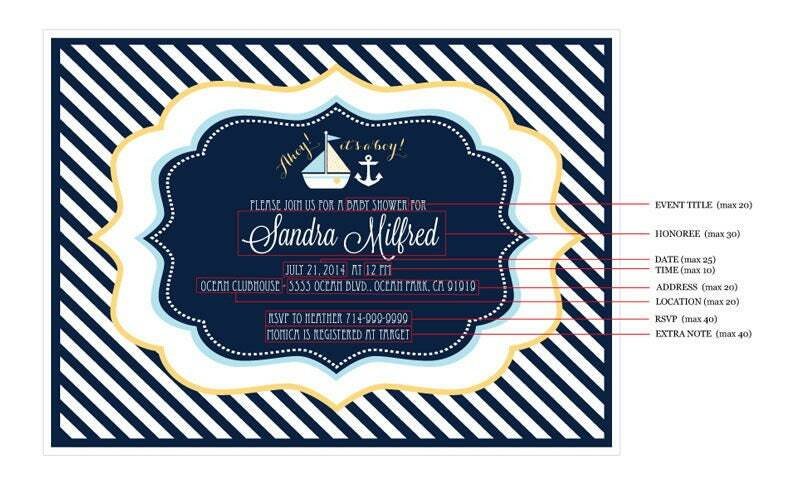 Invite you friends to comes celebrate your new bundle of joy with these Nautical Baby Shower Invitations. Each invitation comes in a striped navy blue. Customize your invitation with personalized text just for your baby shower. 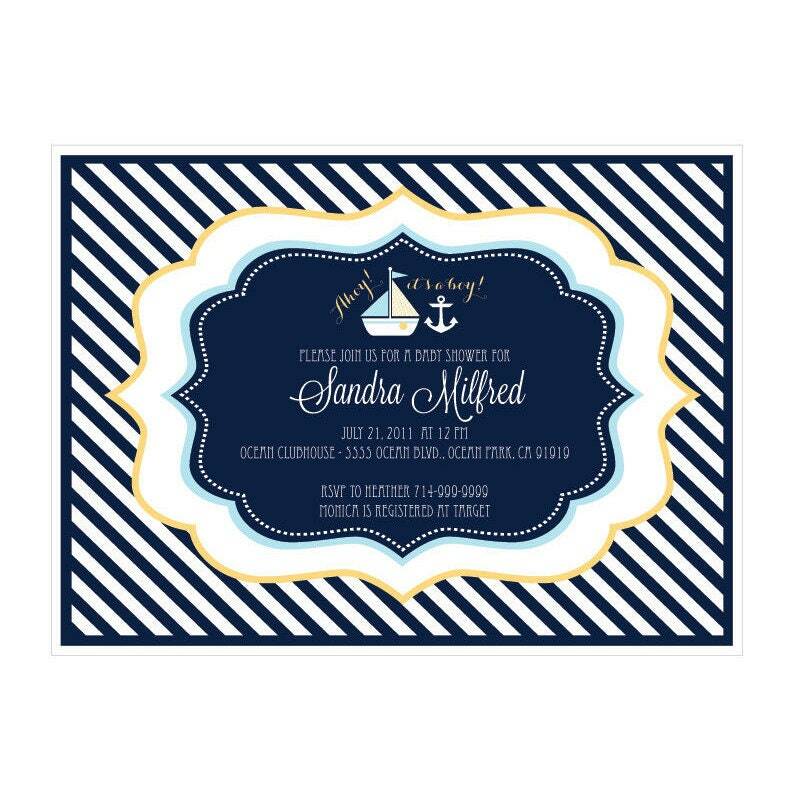 Above your personalized text is a cute nautical design. Invitations include plain white envelopes. Invitation Size: 4.6" x 6.25"